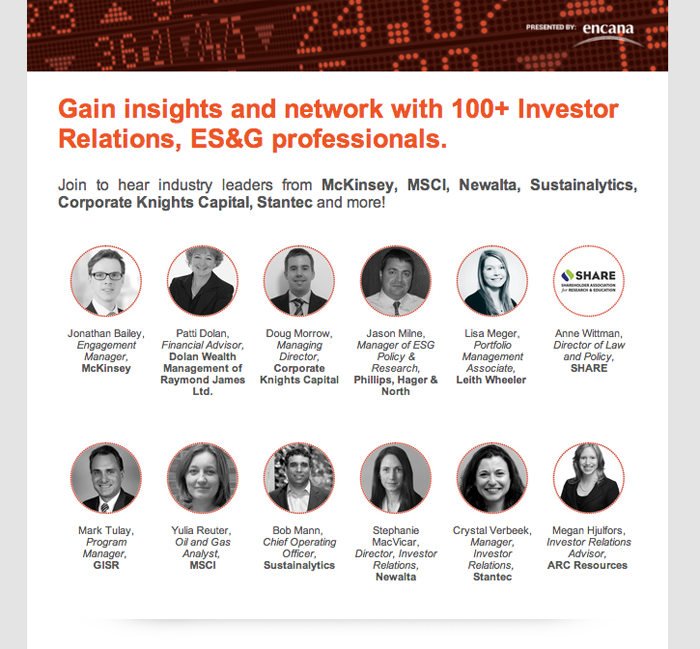 Join to hear industry leaders from McKinsey, MSCI, Newalta, Sustainalytics, Corporate Knights Capital, Stantec and more! CBSR is holding its third annual ES&G Forum to explore changing investor expectations that are causing organizations to expand their performance measures and assessments beyond previous standard economic drivers to include non-financial considerations - social, environmental and governance (ESG) performance. Building on the last two years' discussions, participants will hear how investors and businesses are implementing innovative methods to manage investor demand for ES&G information. There will also be an opportunity to explore with peers on what the future holds. Click here for more information and to register. Last year's event sold out - don't delay!